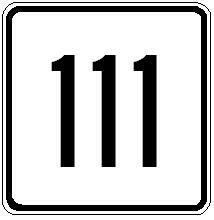 Massachusetts State Route 111 runs in Northeastern Massachusetts. 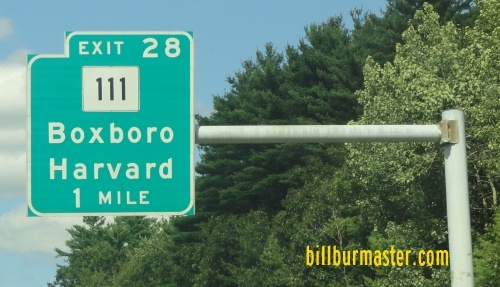 It goes from the Massachusetts/New Hampshire State Line to Concord. MA St Rt 111 passes through the following towns in Worcester-Middlesex Counties. MA St Rt 111 is multi-plexed in Worcester-Middlesex Counties. Massachusetts State Route 119, near Groton. Massachusetts State Route 225, near Groton. Massachusetts State Route 110, from near Ayer to Hardvard. Massachusetts State Route 2A, near Ayer. Massachusetts State Route 2, near Concord. MA St Rt 111 intersects the following highways in Worcester-Middlesex Counties. Massachusetts State Route 113, at Pepperell. Massachusette State Route 2A, near Ayer. Massachusetts State Route 110, near Ayer. Massachusetts State Route 2, near Harvard. Massachusetts State Route 110, at Harvard. Massachusetts State Route 27, near South Acton. Massachusetts State Route 2, near Acton. Massachusetts State Route 4, near Concord. Massachusetts State Route 119, near Concord.